It came a little late, but New Delhi’s realisation that its long neglect of the northeastern States had proved costly both for nation-building and India’s strategic interests has led to a more proactive approach to the region in the last decade. These efforts, though, are still nowhere near what they should be. During his three-day tour of Arunachal Pradesh and Nagaland, President Pranab Mukherjee rightly underlined the shortcomings, urging political leaders, policymakers and administrators to give “the utmost importance and attention” to the region. 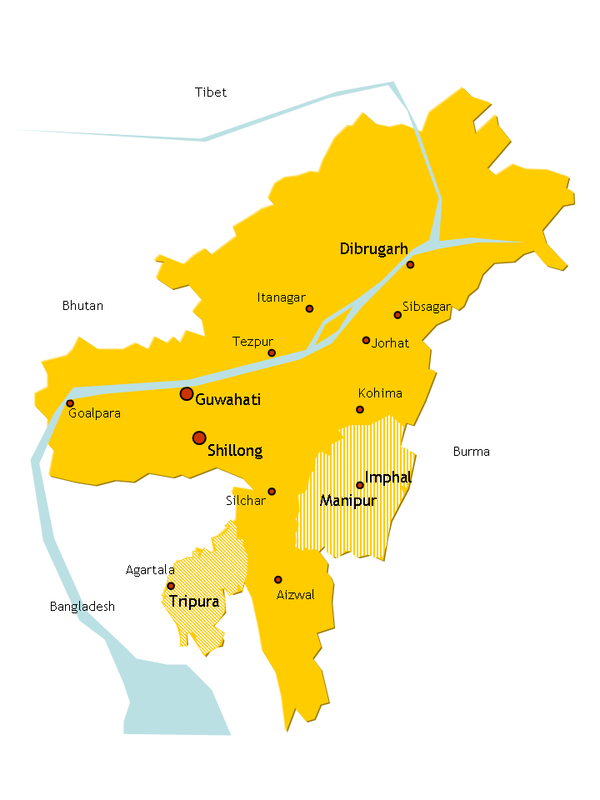 Connected to India only by a narrow corridor, and sharing borders with five of India’s neighbours — Bangladesh, Bhutan, China, Myanmar and Nepal — the Northeast has potential that is far from being realised. Though it has been repeatedly held up as the gateway for India’s Look East policy, the country’s growth story has left the region behind. While the Northeast itself aspires to take advantage of India’s increasing ties with East Asia, it is hardly in a position to do so. While some social indicators for the northeastern States, such as health and literacy, are far better than in other Indian States, they lag behind in many others. Infrastructure development — roads, railway lines and air links, and power generation — is woefully inadequate. A study published earlier this year by the Indian Chamber of Commerce estimated that between 2011 and 2021 the region would create a mere 2.6 million jobs, while the number of job-seekers is likely to be eight times that number. In his address to mark the 50th anniversary of the creation of Nagaland, President Mukherjee spoke about the role of the people of the State in “establishing and maintaining a peaceful environment” so that it could prosper — an allusion to the Naga separatist insurgency, which has given way to a ceasefire and peace talks but no settlement yet. It is significant that the President appealed to both the Centre and State governments in the region to ensure that the people of the Northeast can take their due place in India. Reflecting the recent improvement in ties, the reaction was not as sharp as in 2009, when Beijing said it was “deeply upset” by Prime Minister Manmohan Singh’s visit to the State. The problem will not go away soon. The challenge for New Delhi is to shore up its territorial claims with speedy efforts to ensure that the State is developed, and better integrated, and connected, with the rest of the region and the country.